Looking for the best fillers for expansion joints, fine cracks and small damages in floors, walls, metal and pipes? Rawlins Paints have a wide range of durable, hard-wearing and, in most cases, flexible fillers, to make sure your repaired surface is smooth, sound and ready for use. The first part of the repair process is arguably the most important - Preparation. Ignore it, and the rest is redundant. Before installing a new system, you must reapair any existing damage. Crack and joint fillers allow you to smooth over any incidental damage. If the damage could be structural, active in particular, be sure to address the issue. Filling over a larger issue will not fix it, it will only disguise it. Floors are not an area where you want bumps or unevenness as it can cause falls or jolt important stock being transported etc. Be sure to create a safe uniformity that will last. Not sure which product to opt for? Give our Technical Support Team a call on 0113 245 5450, or email [email protected]. Alternatively, contact us on one of our social media outlets by following Rawlins Paints. 204 Fine Crack Repair is a solvent free, low viscosity epoxy resin designed for filling smaller cracks, voids and thin section "blow outs" or craters in concrete floors. 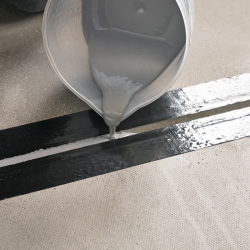 A flexibilised epoxy filler/sealant allowing direct pouring into horizontal joints. Hard and tough enough to protect joint edges from heavy wheel loading, but posesses sufficient flexibility to accomodate 10% movement of the joint width. For deep cracks it can be cost effective to use the Rust-Oleum 5160 Flexible Joint Rods which are foam strips to 'pack out' the gap or crack to save on Rust-Oleum 5160 Flexible Joint Filler. 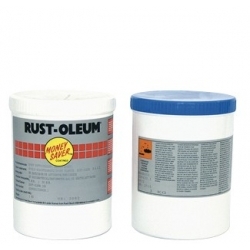 Rust-Oleum 5412 Epoxy Filler is a solvent free, two component epoxy putty for repair of small cracks, air-pockets and/or blow-holes in concrete walls and floors. Sikaflex 11 FC+ (available as a pack of 12 x 300cc or 20 x 600cc cartridges) is a 1-part elastic joint sealant and multipurpose adhesive based on polyurethane that is suitable for indoor and outdoor applications. Sikaflex AT Connection (available in packs of 20 x 600cc sausages) is a universal construction sealant for connection joints that is a one part, solvent based, PU hybrid that is UV resistant and permanently elastic. 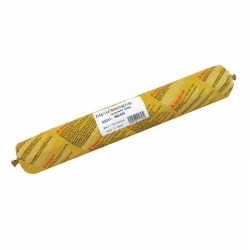 Sika Boom GS is a 1-part, expansive, gun applied polyurethane fixing foam used for fixing, insulating and filling connection joints and for insulation against sound, cold and draughts etc. 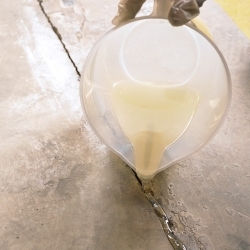 Concrete floors can be subject to small cracks and holes, which need to be smoothed out. A solvent-free two-part epoxy resin, Rust-Oleum Epoxyshield Fine Crack Repair Mortar is really easy to use and repairs fine cracks up to 3mm wide. Simply smooth over the cracks in you concrete floor and it will be dry and sound after four hours. Recoat after the four hours, leave it to dry and you’ll be left with an even, smooth and perfect surface. 204 Fine Crack Repair works in a similar way, but on cracks from 0.2mm up to 20mm. Also solvent free, Fine Crack Repair is an epoxy resin that can be used to fill small cracks, voids and craters in brickwork, concrete and masonry. It’s weather resistant, waterproof, high strength and very easy to use. This particular crack filling resin is recommended to use for filling joints and voids that aren’t subject to movement. It’s worth noting that once it’s mixed, it must be used immediately, so the area that needs to be repaired must be ready beforehand. 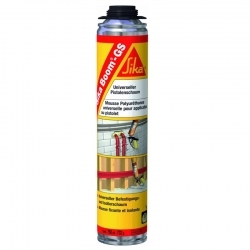 Sika Primer 3N is a solvent-based primer used beneath elastic adhesives and Sika joint sealants. It’s easy to apply with a paintbrush and provides improved bonding on porous substrates, such as concrete, ahead of applying Sikabond Adhesives. 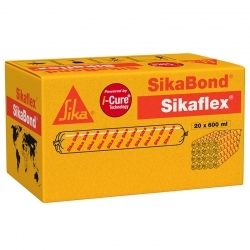 For a Sika joint filler or sealant, have a look at Sikaflex Construction+, which is a flexible sealant for connection and movement joints in concrete and masonry building facades. Construction+ is great for resisting weathering and ageing, which will prolong the life of your façade and minimise the need for constant maintenance. It doesn’t cause much stress to the substrate and is guaranteed to stick well. Solvent free and odourless, it has the benefit of giving low environmental impact and also works well in tropical and hot climates. Sikaflex AT Connection is an elastic joint sealant for the connection joints between non-porous and porous substrates so it’s perfect for sealing windows and doors. It’s silicone-free and can be easily painted over, lasts for ages and is simple and straightforward to apply. It can be cleaned with Sika Thinner C or Sika Remover 208. Known by some as ‘foam boom’, Sika Boom GS is an expansive fixing foam. Applied with a gun Sika foam works well as a joint filler, thanks to its insulating, filling and fixing properties. It insulates really well against draughts and sound and is perfect to use around door and window frames, air-conditioning vents and roller blind fixings. MMA Flexible Joint Filler is a flexible methacrylate sealant that is extremely tough. It’s hard enough to protect edges from heavy traffic and yet is able to retain a degree of flexibility, enabling it to last a long time. It has a high level of adhesion to concrete and is simple to clean, making it extremely hygienic. 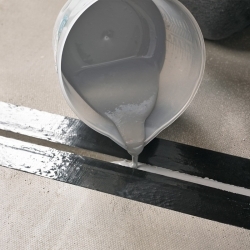 A pourable joint filler for expansion joints, as well as other floor joints, Rust-Oleum 5160 Flexible Joint Filler can be used inside and outside. It remains flexible, which allows the floor to collapse and expand and it’s very fast acting – sealed joints can be walked and driven on after around 12 hours. We advise using 5161 Joint Primer to improve the adhesion of the filler.